Is Balayage suitable for my hair? Balayage is a colouring technique that focuses heavily on the ends of you hair as this is where the hair naturally would have had the most exposure to the sun. Because of this your hair must be strong and in good condition. 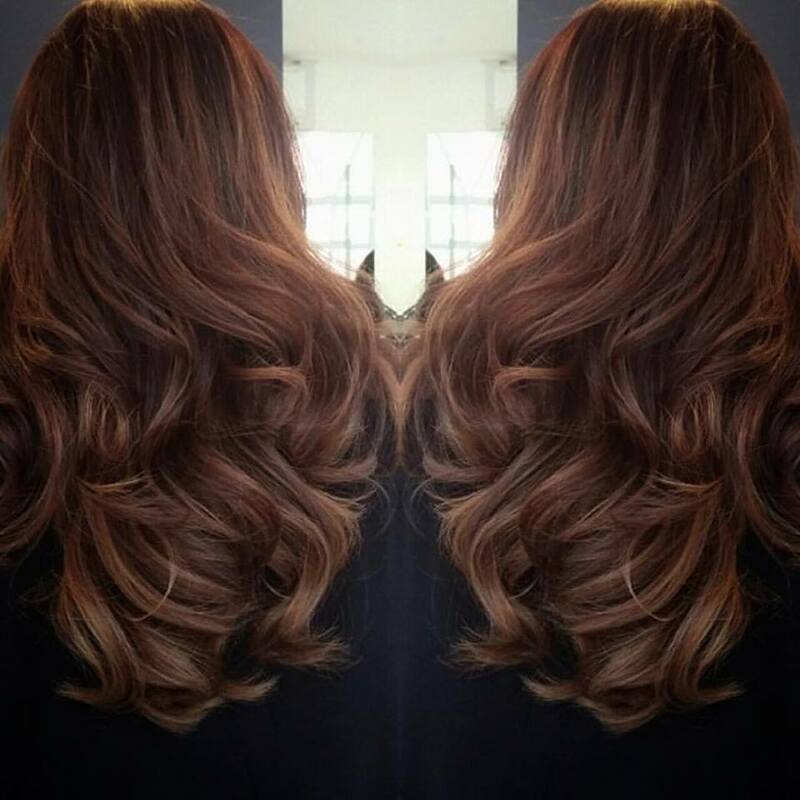 You may need to get your hair ready for Balayage, we recommend using a care package of intensive treatments we provide for you to do at home in the run up to your appointment and following your appointment to ensure your hair remains in top condition & colour lasts as long as possible. We advise every client to invest in our home care products to ensure the longevity of your new colour and to protect it from damage from the sun, heated styling tools and cold weather in winter. If you are concerned about your ends please ask us for advise and home care when you come for your allergy test as our stylists reserve the right to refuse the service if your hair is not strong enough to lighten and are you are not willing to undertake the care package needed to ensure the health of your hair. Can the Balayage 'look' be achieved on all hair? Depending on your current hair colour and the Balayage look you desire, sometimes Balayage is not possible. Your stylist will discuss your desired look and your current hair type to see what techniques should be used to achieve the look you desire. Often traditional balayage will not achieve the look you want on your hair so, our stylists will have to do a combination of foil, babylite or balayage to achieve the look on your hair and to get the best result possible for that session. Choosing a stylist who knows when to use balayage and when not to is very important as the technique gives totally unique results on each person. How long will it take to achieve the look I want? When you start on your colour journey it is important to listen to your stylist, lightening your hair too quickly can cause a lot of damage and mean that you can need a lot of hair cutting off. Patience is key you should take it gradual and in multiple sittings, treating your hair with masks between visits. What if my hair is too damaged to have Balayage? If your ends are too tired to take a lightening process don’t worry, we can help you get it back on track with a care package and by removing some or all of the damaged hair. If it is agreed at consultation that a specific amount of hair needs to be removed to carry out the service, you can choose whether to do this over time or on Balayage day as we cut your hair prior to colouring as we ‘paint your hair cut’ if on the day you fail to do so the stylist will refuse to carry out the service and you will be charged the cancellation fee set out in our cancellation policy. We will not unnecessarily risk the health of your hair. What do I ask for when booking in? If you have fair hair and we’re very blonde as a child, you will need to ask for a Balayage and glaze. Very few people are lucky enough not to need a glaze, a glaze is a conditioning colour we apply all over your hair to give both your natural colour and your new Balayage a gorgeous shiny sun kissed tone and completes the transformation. The glaze removes any unwanted yellow tones or can give a beautiful pearly, beige or golden tones to your new look meaning you can personalise every aspect of the service specifically to your taste and skin tone. If you have very light and wish to go darker or tone down the base of your hair, you will need to come in for a consultation as this is considered colour correction. you will need to tell us you would like to tone your blonde hair down and have Balayage, so we can allow more time and give you an estimation of time and price. If you have brown or black natural hair and have been colour free for over 2 years, you will need a Balayage and glaze unless you wish to lighten your all over colour at the same time. If you do wish to lighten up at the same time please tell us as this will need an additional service on the day and more time allocated to your visit. If you have brown or black hair with colour build up, you will need to come in for a consultation as this is considered colour correction. You will require more than 1 visit to achieve the look you require and may need multiple services on the day and extra time depending on how much existing colour present in you hair. We will need to take strand tests to ensure the condition of your hair and assess what services need to be done.